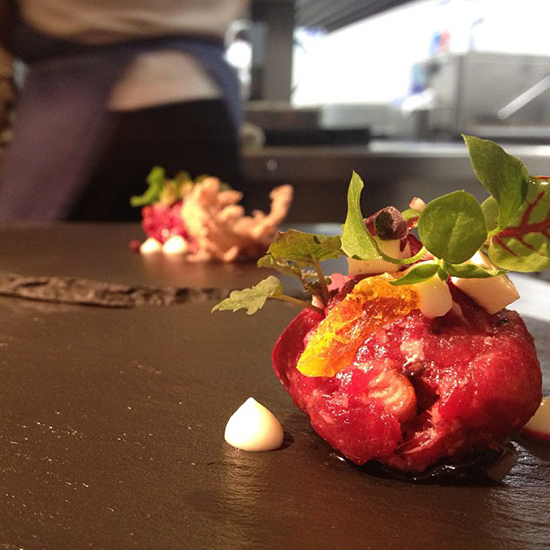 Here, fantastic chefs share some of their most beautiful photos on Instagram. "Uchi. The best sushi in America." Follow Tyson Cole on Instagram @tyson333 and on Twitter @tysoncole. 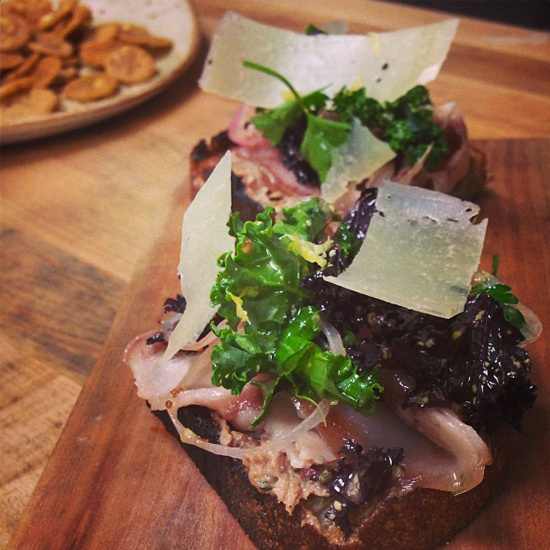 “Liver + lardo + anchovy + toast & some pickled shallot.” Follow Richard Blais on Instagram @richardblais and on Twitter @richardblais. 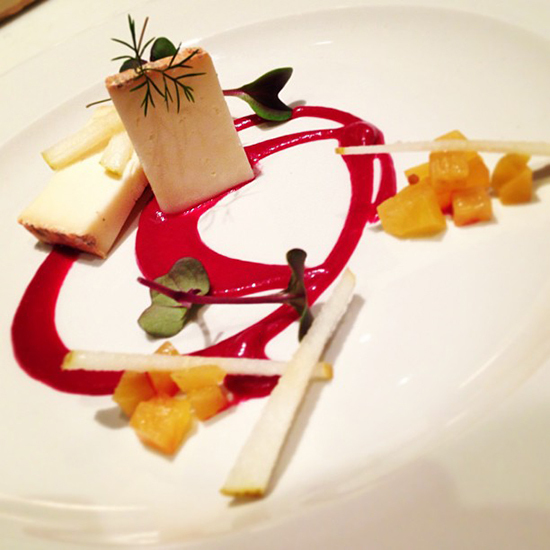 “Cheese course: Cave-aged taleggio, beet tasting, anjou pear.” Follow Matthew Jennings on Instagram @matthewjennings and on Twitter @matthewjennings @farmsteadprov. 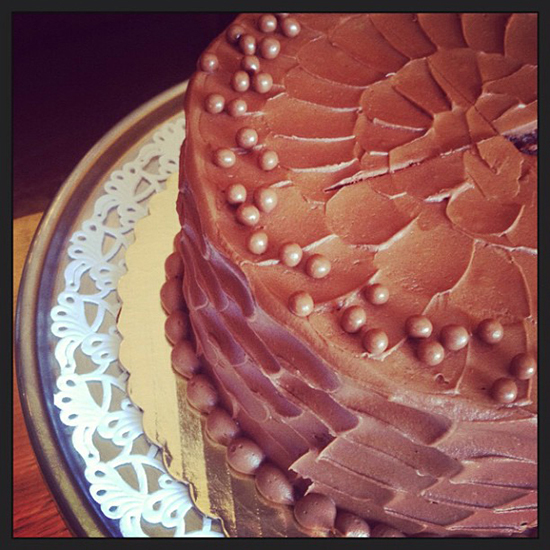 “Just a Diner Double Dark cake with Valrhona pearls. Don’t you want/need one?” Follow Matt Lewis on Instagram @brooklynbaker and on Twitter @brooklynbaker. 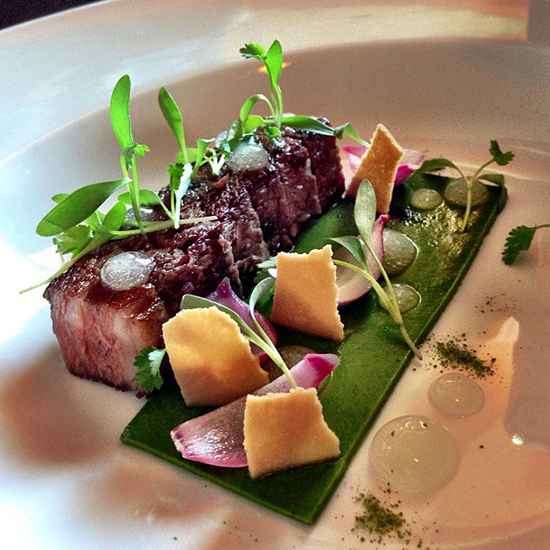 "Wagyu, green curry, pearl onion @ppressley #plateswagger." Shot at Uchiko, Austin. Follow Philip Speer on Instagram @philipspeer and on Twitter @philipspeer. 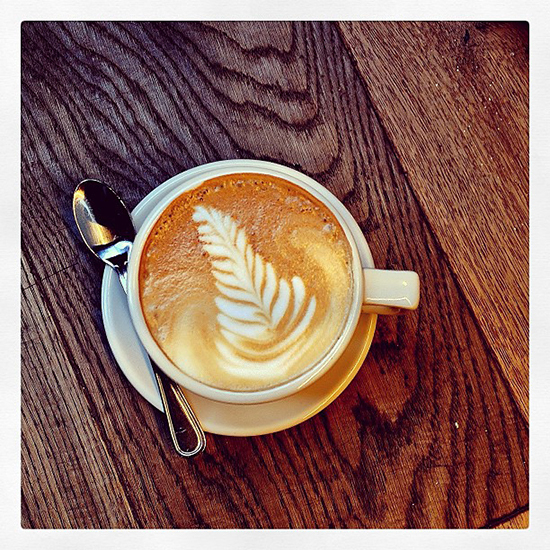 “#Littlegoat baristas are getting pretty good, right?” Follow Stephanie Izard on Instagram @stephandthegoat and on Twitter @stephandthegoat. 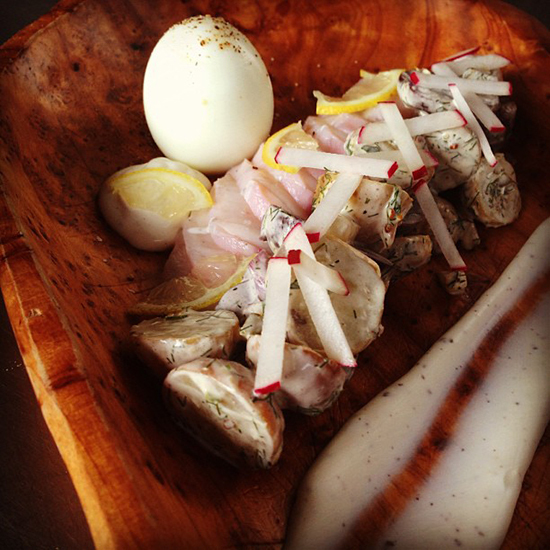 "Smoked/pickled walleye...potatoes, hard cooked egg, juniper creme fraiche @Union Pig & Chicken." 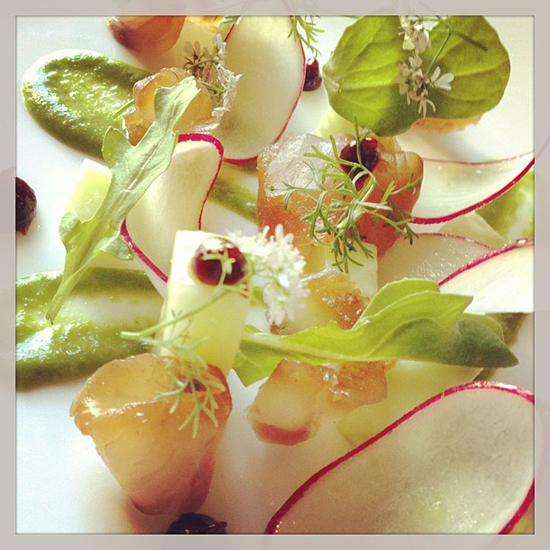 Follow Kevin Sousa on Instagram @sousapgh and on Twitter @sousapgh. “Lamb and eel.” Follow Dominique Crenn on Instagram @dominiquecrenn and on Twitter @dominiquecrenn. 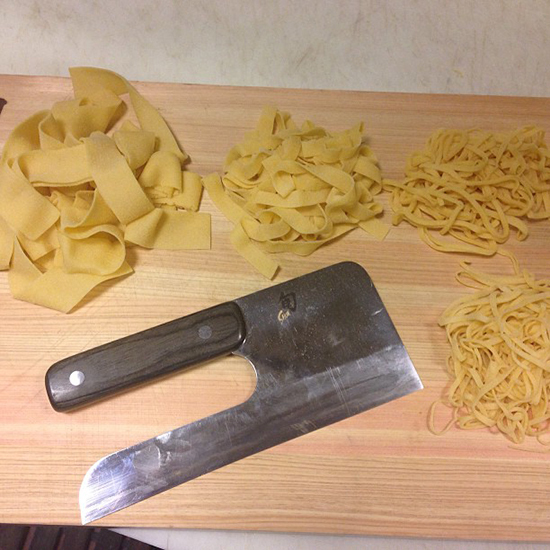 “New pasta knife and 4 pastas for demo on how to use @shuncutlery.” Follow Chris Cosentino on Instagram @offalchris and on Twitter @offalchris. 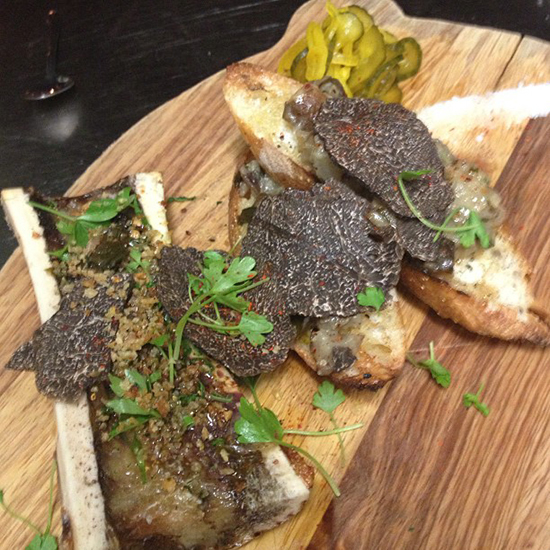 “Bone marrow, sunchokes and black truffles @coppaboston.” Follow Jamie Bissonnette on Instagram @jamiebiss and on Twitter @jamiebiss. Shot at Greens & Vines in Honolulu, HI. 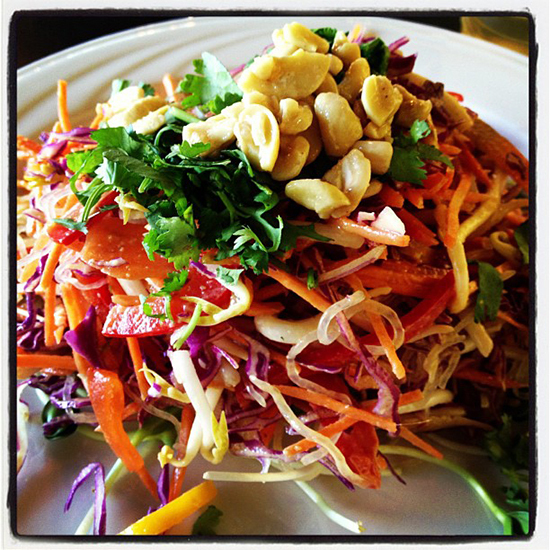 Follow Lee Anne Wong on Instagram @leeannewong and on Twitter @leeannewong.